Thinking about when we get older, and the health problems we might have or the care we might need is never easy. However, as the cost of care is rising, how we will pay for care in old age is not a matter which many of us can afford to ignore. Although it isn’t always pleasant, talking about things now, and getting some plans in place sooner rather than later, can make things a lot easier if and when the time comes that we have to pay for care in our old age. You never know what’s going to happen and you may never need any significant residential or long-term care. However, estimates suggest that a third of women and a fifth of men over will need some form of care before they die. You might be thinking about your own financial future or worried about how the cost of your parents’ care will be met. Either way discussing things as a family and seeking expert advice where necessary should provide some peace of mind. As with most forms of financial planning, people will usually tell you that the earlier you start the better. While this is true, you also have to be realistic. Many people don’t have a lot of spare money when they are younger. Money is scarce when you’re just starting your career, and then disposable income is often taken up with raising a family, buying a house and becoming financially stable. This is understandable as long as you don’t leave financial planning for the costs of your care until it’s time to pay. It is suggested that at the very latest your financial plans for elderly care should be in motion when you retire. Another important factor to bear in mind is that if you leave your financial planning too late, health problems associated with age could have a dramatic impact on your insurance options. Planning in advance for care needs can never be exact as you don’t know what it is going to happen. However, it’s worth thinking about the kind of care you would prefer in different scenarios, for example care in your home, residential care and nursing care. From this you can then get an idea of the costs you might be looking at. Our article The Cost of Care will help with this. You may be entitled to some help from the Local Authority to pay for your care costs. However, if you own your own home and want to keep it, or have significant assets, this is unlikely. Also, although state-funded care does allow you some choice in your care, the options are more limited than if you pay for care yourself. There are a number of ways you can plan for paying for your own care when you’re older. The options fall into three main categories: insurance, investment and equity release. Some insurance products are bought in advance in case care is needed in future. Others involve a lump sum payment up front, when care is needed, in return for a guarantee that your care will be paid for until you die. By investing money for your long-term care, you stand to grow your money and make sure your future is secure. However there is the risk that you will lose money or not make a profit from it. There are a number of investment products on the market, carrying varying degrees of risk. 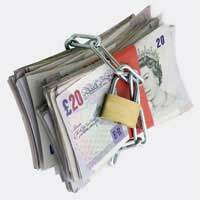 Equity release is when you receive an advance on the equity locked up in the value of your home. This can involve selling all or part of your home, or taking out a new mortgage. Our article Equity Release to Pay For Long-Term Care will give you more information on this. Whatever you decided is the best long-term care plan for you, it’s always advised that you talk things over with an independent financial advisor first.